Mid-afternoon on July 5th, Julian and I were picked up in Bolton by Si Smethurst, one of Julian's birding friends from back in the days when short shorts were cool. Our destination would ultimately be Norfolk, which, for context, is a few hour's drive north-northeast of London. On our way we would detour for a rather rare breeding bird in England, and one that was not on my radar for this trip: European Bee-eater. The bee-eaters, a group of them actually, had set up a small colony at gravel pits in East Leake. The local turnout for these birds had been impressive, especially from the standpoint of an American - even the biggest twitches in the US pale in comparison to those in the UK. We were told that a couple thousand people had gone to see the birds over the preceding weekend. The scene was rather tame during our weekday visit with only a few dozen folks coming and going, but as you can tell by the photo below, this was a bit of an event! Could you picture a sign for rare bird parking at Hammonasset Beach State Park? Didn't think so. 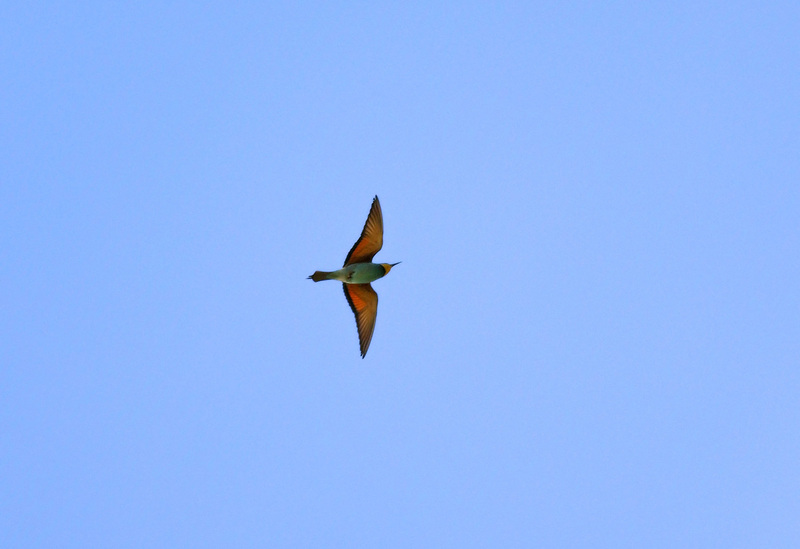 The bee-eaters were a bit elusive on this afternoon, really only providing us with a few flybys. 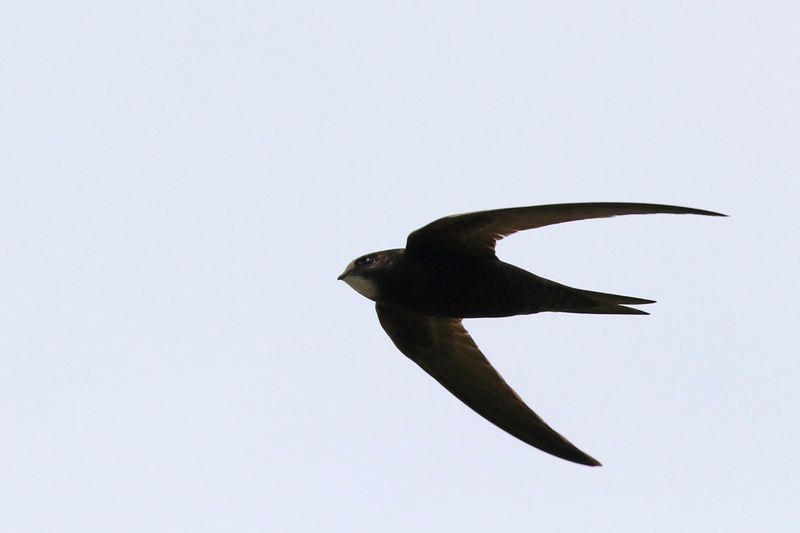 Luckily, their leisurely pace while feeding in flight allowed for prolonged scope and binocular views on two occasions, albeit a bit distant. 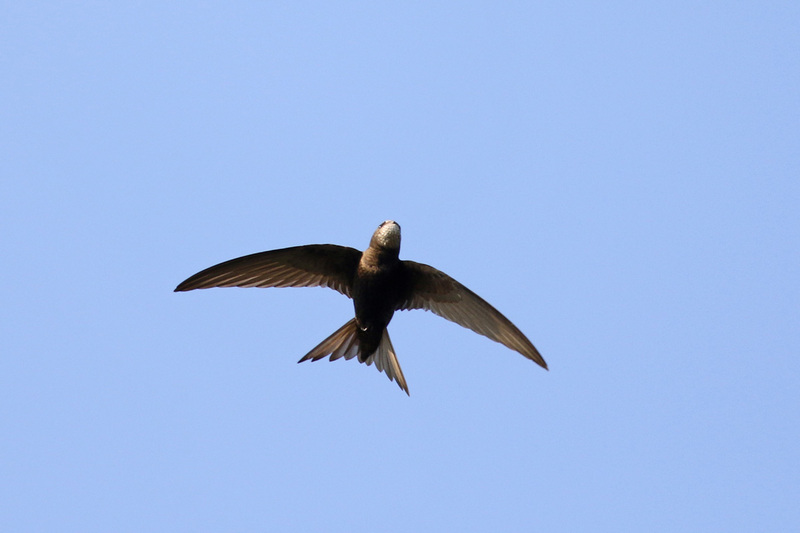 There must have been a nice insect hatch, as there were hundreds of swallows and swifts in the air over the adjacent fields. 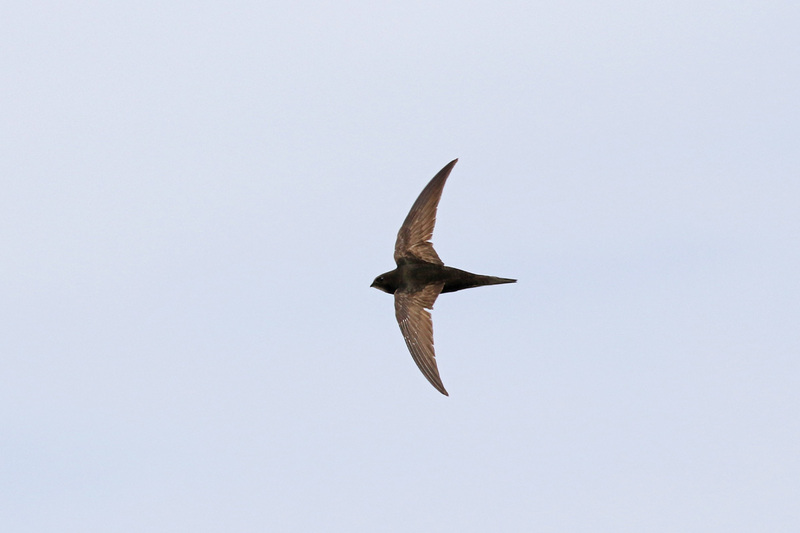 We pulled ourselves away from bee-eater watch to make sure we would get to a nightjar location for dusk. We made it in time and were treated to calling EUROPEAN NIGHTJAR and COMMON SNIPE. The night ended as we checked into our backpacker's hostel to the sight and sound of TAWNY OWLS across the street - way cool. The next morning we joined forces with Chris Mills (http://www.norfolkbirding.com/) for some morning landbirding in The Brecks. The guys were nice enough to target several potential life birds for me. Chris's intimate knowledge of the area really paid off, and we scored nice looks at TREE PIPIT, EURASIAN THICK-KNEE (was really up there on my target list), GOLDCREST, FIRECREST, RED KITE, SPOTTED FLYCATCHER, and many more common species at several quick-hit sites along the way. We stuck to our inland track for the afternoon with a several-hour visit to Lakenheath Fen RSPB. Our couple-mile trek onto the property was productive but interrupted by heavy rain. A set of impressive storms took their time rolling through the area, forcing us to wait at conveniently-placed covered benches. Once the weather cleared, the birding really picked up. 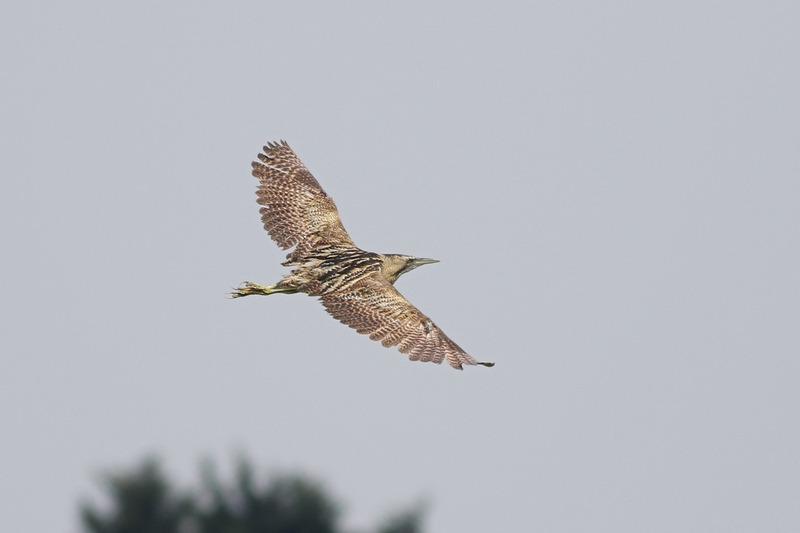 Bird of the afternoon goes to EURASIAN BITTERN, which gave us two prolonged flight views. Two EURASIAN HOBBIES made a distant appearance (the only ones we would see on this trip), BEARDED REEDLINGS played hard-to-get, and a family of EURASIAN MARSH-HARRIERS were seen well - the fresh juveniles are really stunning. We would end the day with a stakeout for a very rare and declining breeding species in the UK - MONTAGU'S HARRIER. 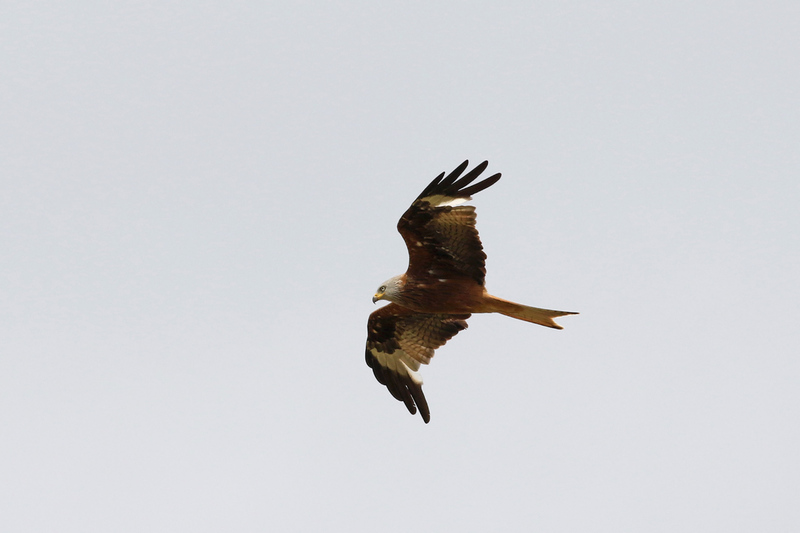 After a short wait we were rewarded with prolonged flight views of the female, later followed by the male with prey. We watched closely as they performed a "food drop" - he gains some altitude and drops the prey for the her to catch; she then delivers the food to the young in the nest. One of the highlights of the week for sure. The UK is not home to many warblers I would call "attractive." That being said, there are a couple worth looking at. 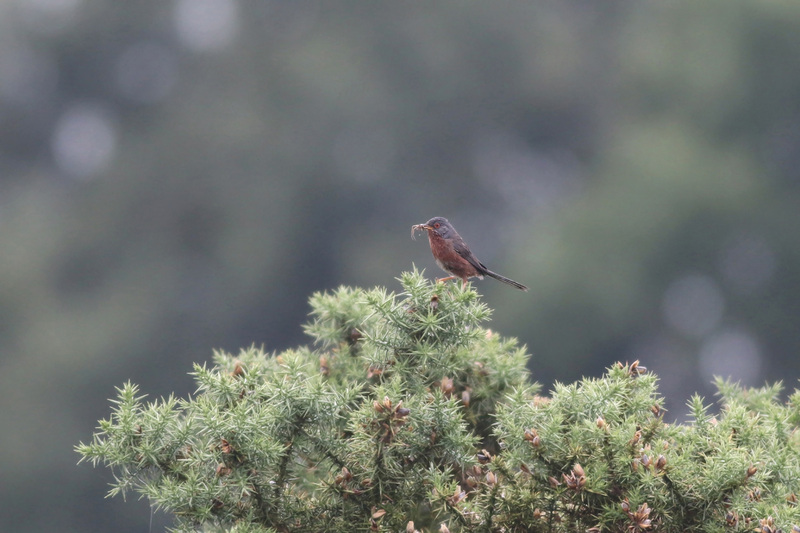 Perhaps the most visually pleasing of the lot is the DARTFORD WARBLER, not a bright bird by any means but subtly beautiful thanks to its rich, dark tones. This would be our #1 target at Kelling Heath, where Julian, Si, Andy Culshaw and I would walk this morning. Known for being a bit of a skulker and a real pain when you're trying to see one, we were surprised to have fine looks at one adult Dartford that was collecting food for its young. Pleased with our quick success, we continued through the habitat. As I recall, Julian unexpectedly yelled "NIGHTJAR!" 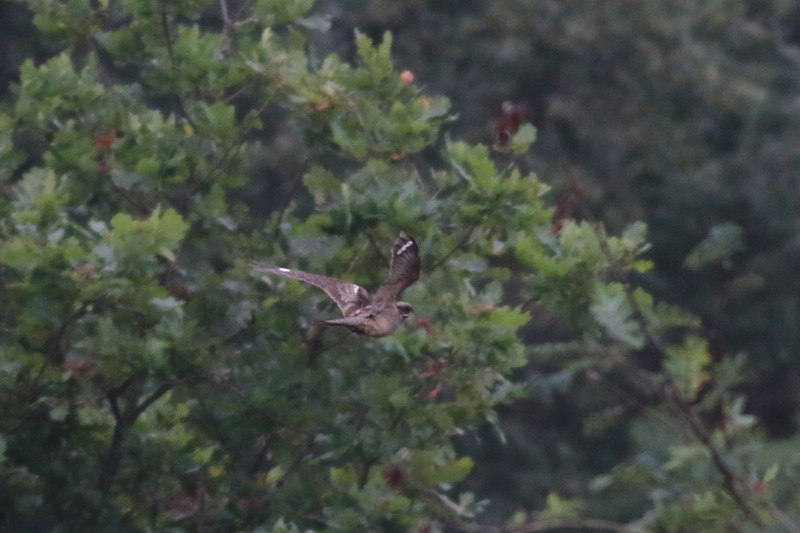 and I looked up to see, well, a nightjar zipping by. He must have flushed the bird from its roost just off the path in the middle of the heath. Two WOOD LARKS would also make an in-flight appearance, recalling a meadowlark with their not-so-hurried flight style and short tails. Our other target here, EUROPEAN TURTLE-DOVE was heard calling a few times but avoided being seen. Garden Warblers and Lesser Whitethroats also gave me the slip, as I could just not get decent views of either. This is landbirding in July - some birds just don't want to be seen. I'll trade Dartford for those two any day, though! After the morning heath experience we made our way to the coast, where we would spend the rest of the day. 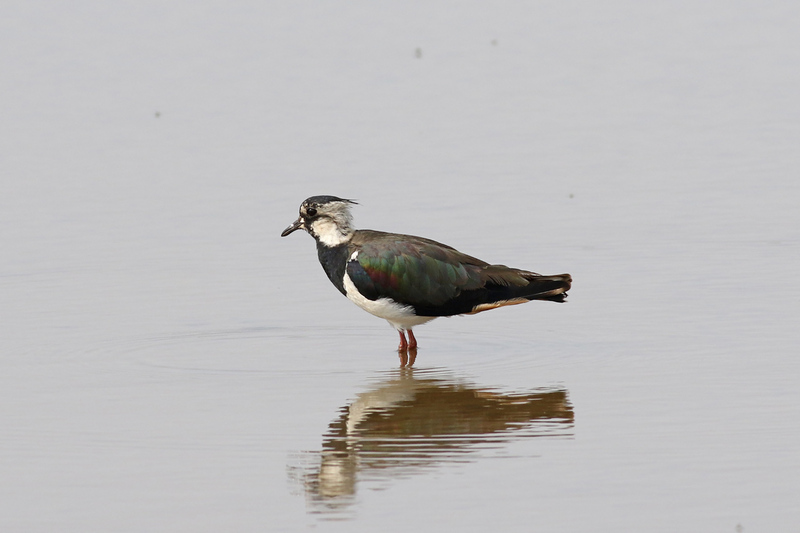 First up was Cley, a site well-known even to somebody like me who knows very little about British birding. 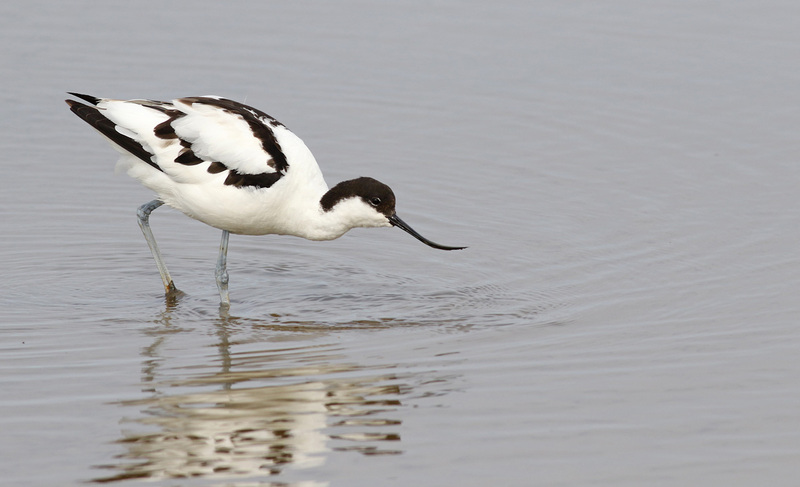 Cley has famously held quite a few megas over the years, and though the habitat has degraded recently, it remains a top birding destination and a "must-see" for a first-timer's trip to Norfolk. 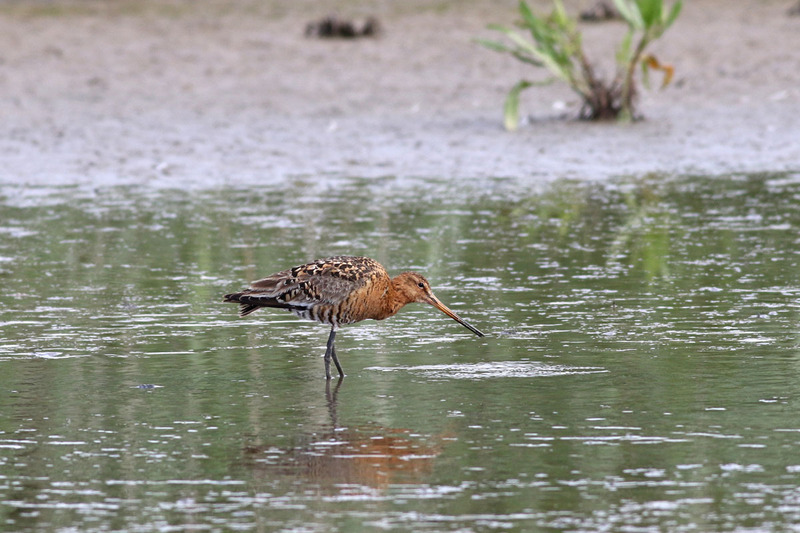 The birding here was a bit slow, though the first southbound shorebirds had begun to arrive. 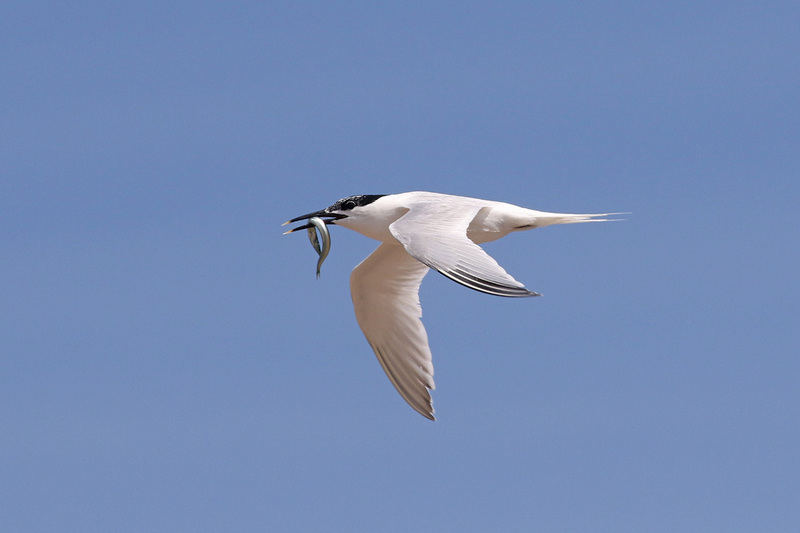 Of great interest to me was the chance of seeing LITTLE TERN off the beaches, which we were able to find. 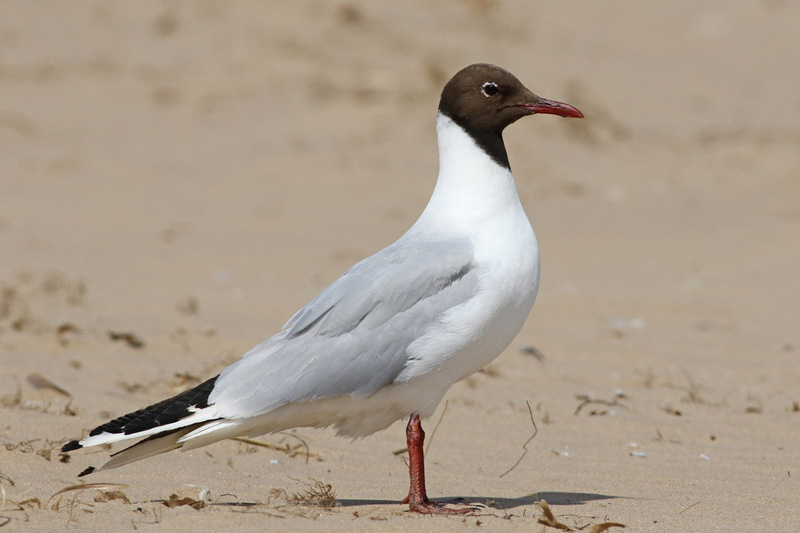 A really sharp adult MEDITERRANEAN GULL flew up and down the beach while a steady stream of SANDWICH TERNS moved westward. After Cley we had some time to kill before the high tide at our main PM destination, Titchwell, so we headed to Hunstanton Cliffs in hopes of photographing NORTHERN FULMAR at their breeding colony. 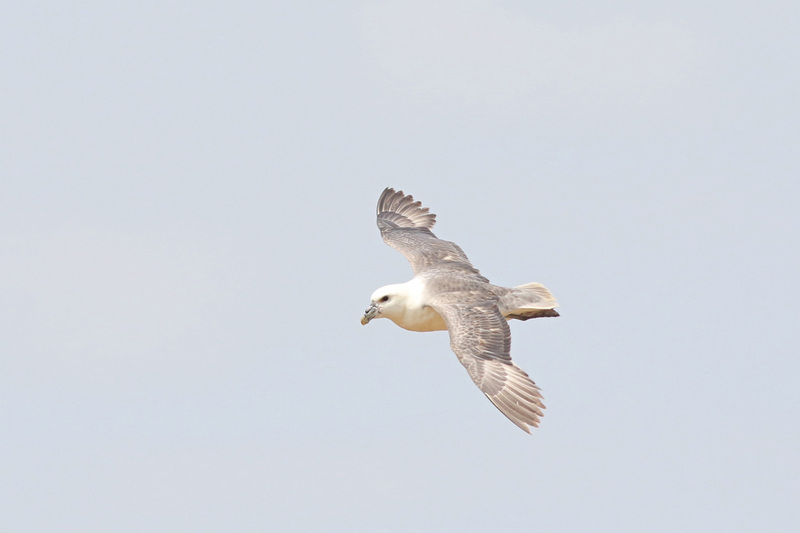 The fulmar weren't terribly cooperative, but we did have a few close flybys. 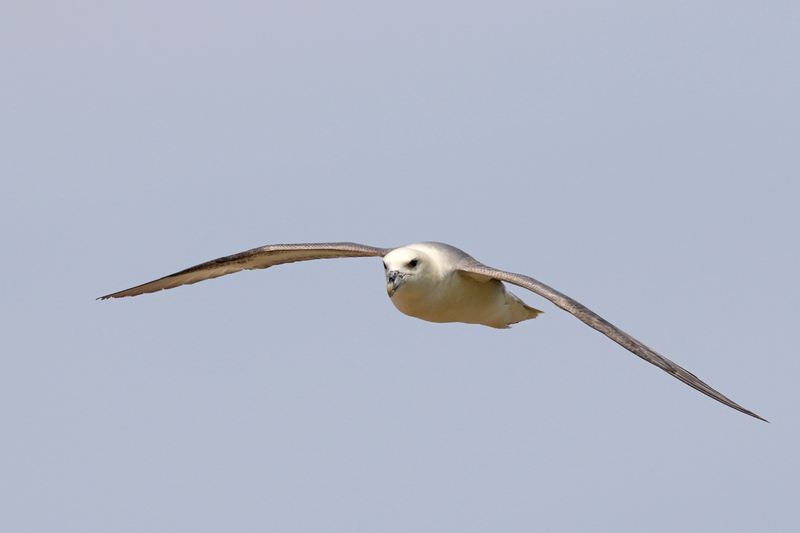 Not a Fulmar. 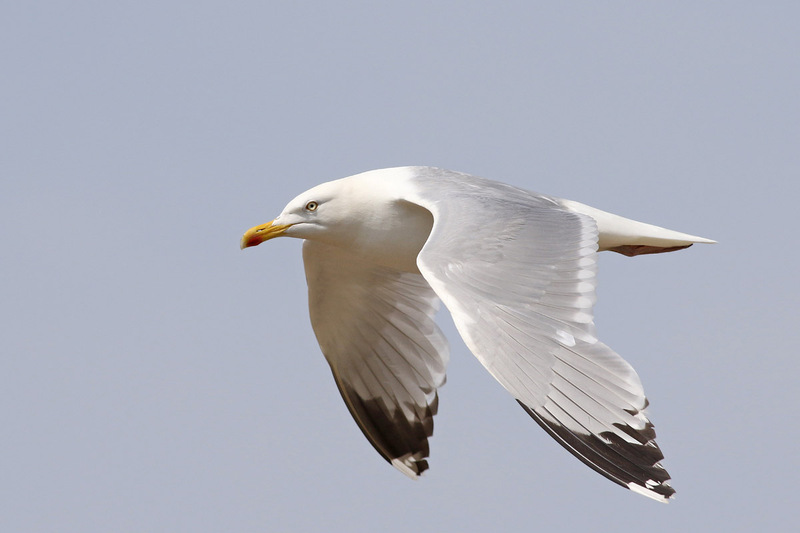 European Herring Gull. 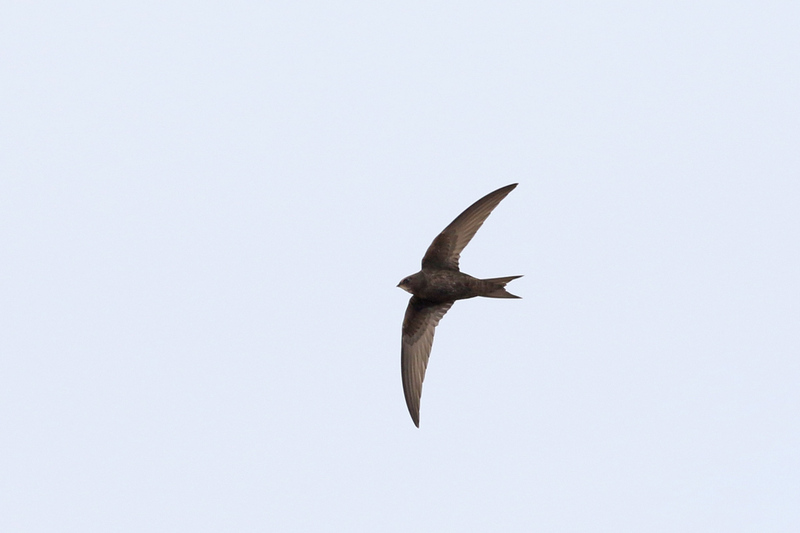 Common Swifts zipped overhead, so we couldn't help but try to shoot those too. 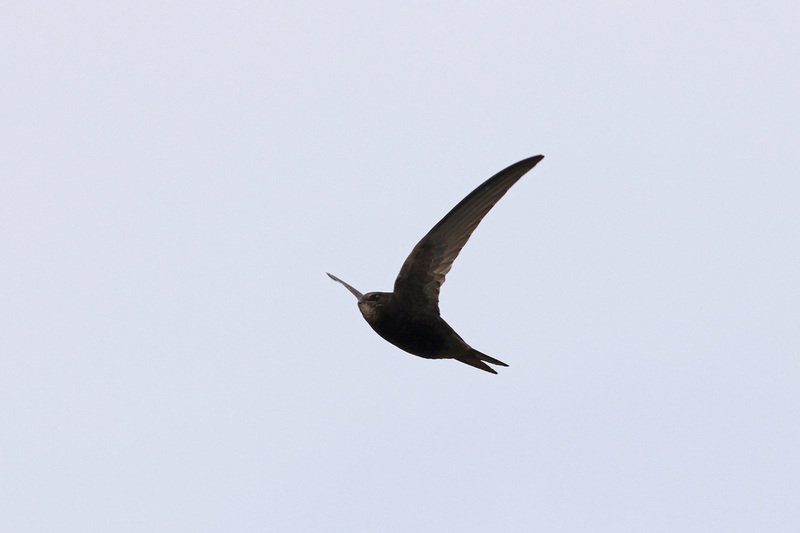 Not easy birds to photograph, swifts. 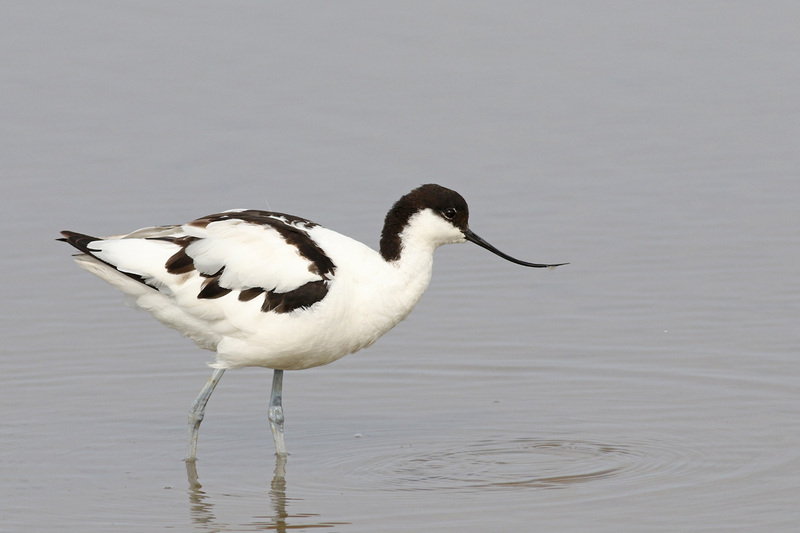 Titchwell Marsh Reserve, Norfolk's premier shorebird hotspot, would be our destination for the remainder of the afternoon. The pools there were loaded with shorebirds (more than I had expected given the early date), gulls, and waterfowl. 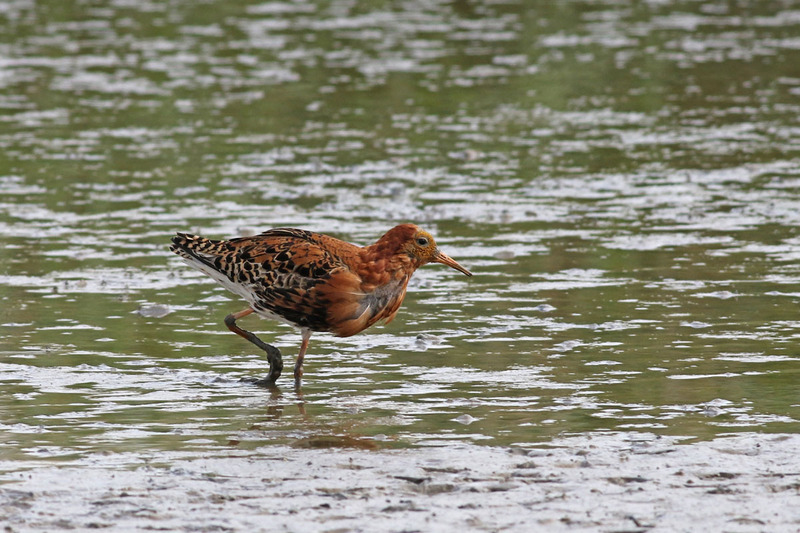 The highlights were many and included PIED AVOCET, both GODWITS, some really good-looking RUFFS, and SPOTTED REDSHANK. 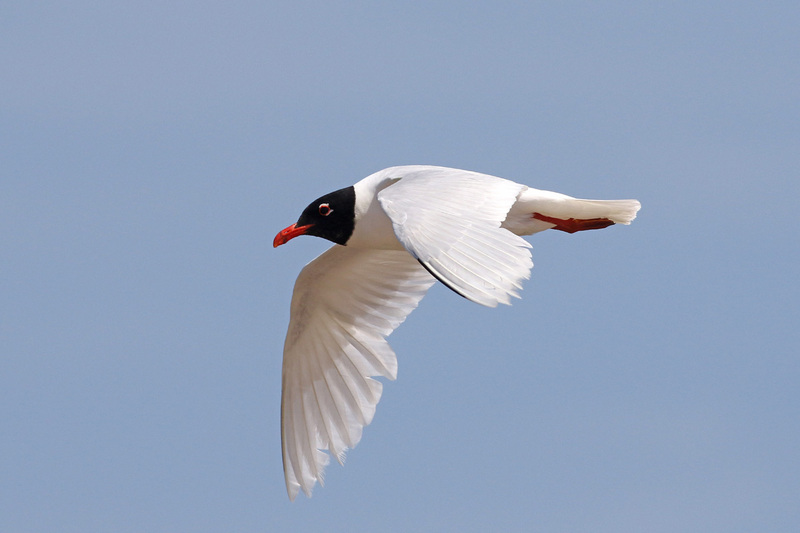 Among the BLACK-HEADED and MEDITERRANEAN GULLS were a few LITTLE GULLS. 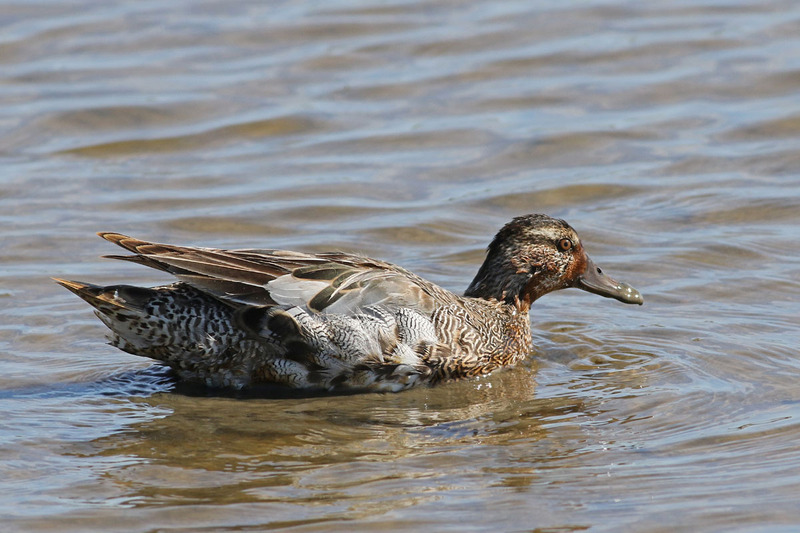 Unfortunately a previously-reported GARGANEY would give us the slip - still needed that bird! 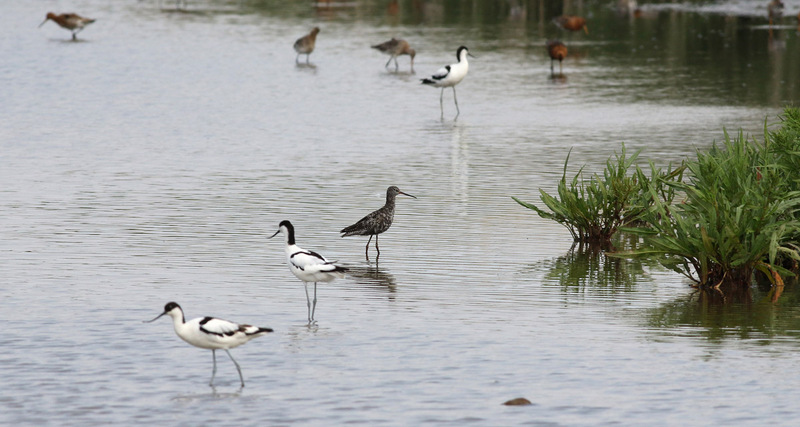 We looked through these flocks for quite a while, studying the Old World counterparts to our sandpipers and plovers. I have to admit, while New World warblers beat Old World warblers hands-down, their summer shorebirds are nicer to look at than ours. While we were watching the shorebirds, I finally got a look at BEARDED REEDLING - a family group creeping along the base of the reeds. Once the guys finally dragged me away from the pools, we walked down to the beach where we added COMMON SCOTER and COMMON RINGED-PLOVER. On our way out, we tried once more for EUROPEAN TURTLE-DOVE, as a pair had bred near the parking lot this year. The bird was vocalizing quite loudly, but it took us quite a while to find the right viewing angle to spot its perch. Not too long ago, seeing one of these doves would not be cause for such celebration. Sadly, their numbers have plummeted throughout Europe in recent decades. 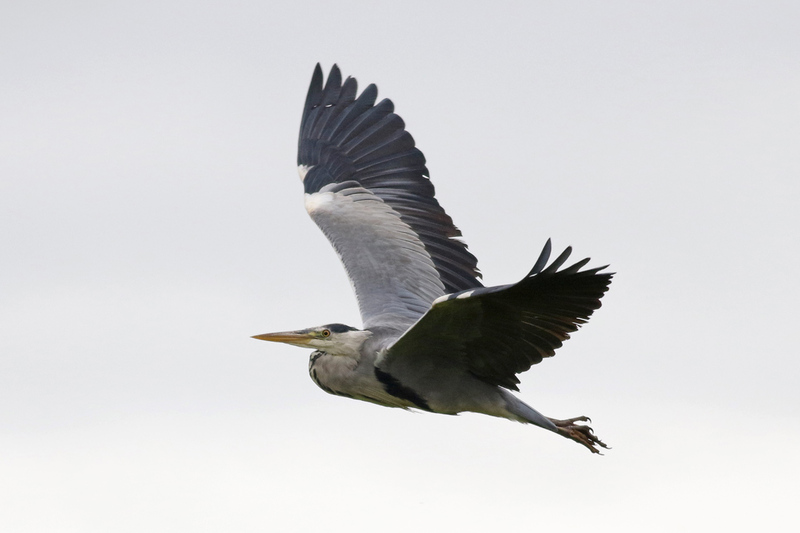 The cause, as always, is likely multi-factorial, but the decline has been caused predominantly by extensive hunting of migrant birds in Europe, particularly along the Mediterranean. Efforts are underway to curb the cull, but it is going to take some time. Hopefully the European Turtle-Dove does not suffer the same fate as our Passenger Pigeon. This was a long and successful day in the field, but it was not over yet! Andy had a few owls spots nailed down in his neighborhood. Without a whole lot of effort we saw a couple BARN OWLS and a dusk view of a LITTLE OWL perched on a fence post. Food & beer tasted pretty good that night! We had one morning's birding left before driving back to Bolton. We figured, hey, if it ain't broke, don't fix it. 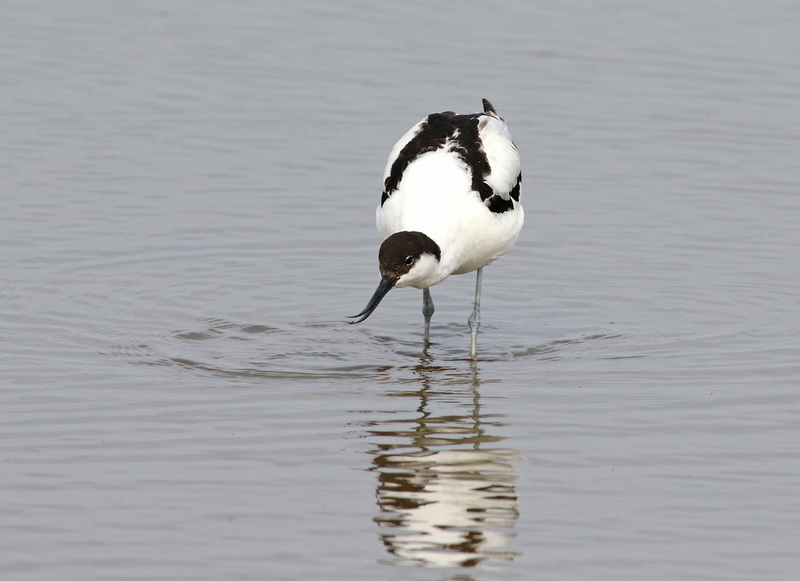 It was back to Titchwell to see if anything new had dropped into the pools overnight. 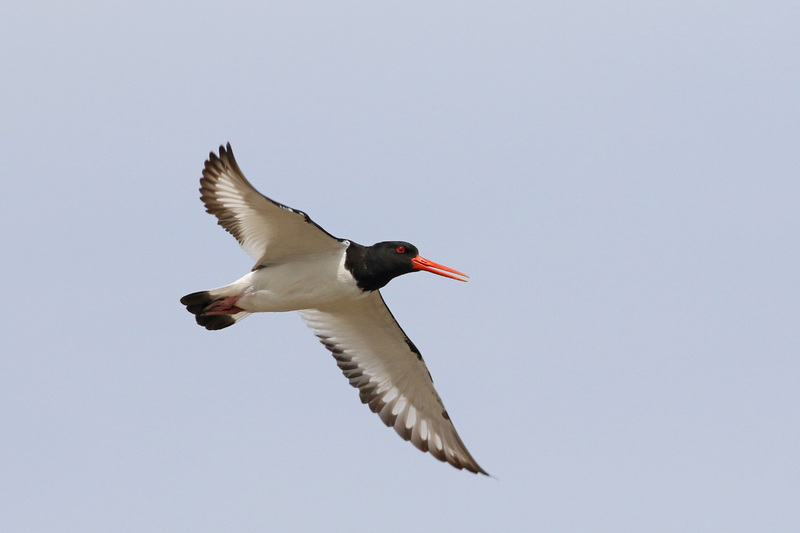 Shorebird numbers were down this morning, but we took a long look through the flocks anyway. As we were scanning the distant birds, Simon casually asked, "How close do you want to see Garganey?" Confused, we looked down to where he was pointing...right in front of the blind! eclipse male Garganey - not exactly the spring male I'd like to find back home, but great views nonetheless! Not much else of note on the pools, and the morning light was generally poor for photography. 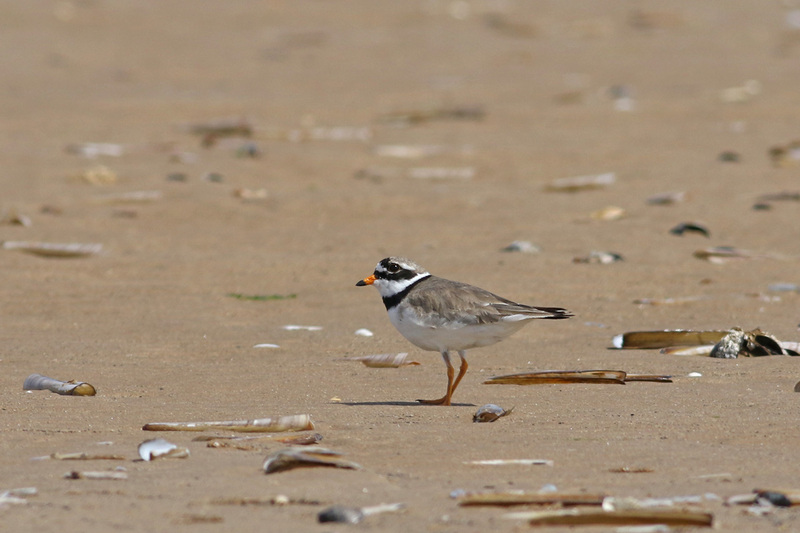 We would take another look at the beach where we saw the same pair of COMMON RINGED PLOVERS we saw yesterday. After that, we were off! Back to Bolton and Julian's welcoming family. We would enjoy a fine dinner that night and fly home the next day. I had a great time in "Blighty" with Ju, his family, and the boys. Huge thanks to the guys for getting me on quite a few life birds while I was over there!